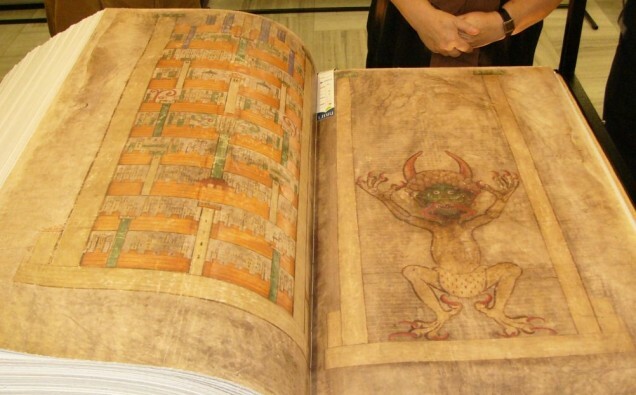 Some believe the pages of this medieval manuscript are cursed. 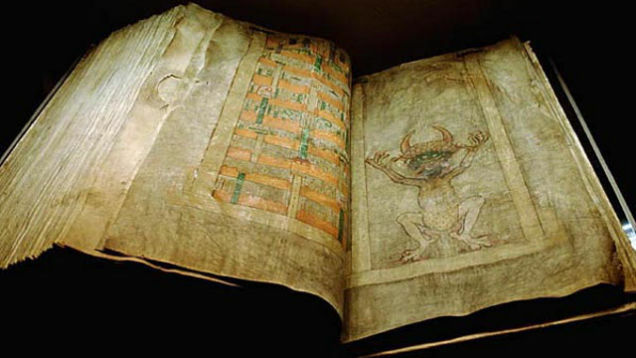 The Codex Gigas, nicknamed the Devil’s Bible, is located in the National Library of Sweden. Thought to be created early in the 13th century in the Benedictine monastery of Podlaźice, the Codex Gigas Stands 36 inches tall, and weighs 165 pounds. The Codex Gigas begins with the Old Testament, followed by two works by Flavius Josephus who lived in first century AD. The book ends with the New Testament, and the Chronicle of Bohemia by Cosmas from Prague. Inside the book is an image of the Devil. Not only do some people believe the pages of this book are cursed, many believe it was created by Lucifer himself. Legend has it that a monk was sentenced to death by immurement for breaking his monastic vows. The monk agreed to write a book in a single night that contained all human knowledge. As midnight drew near, the monk made a desperate attempt to avoid his punishment by turning to Lucifer for help. Lucifer agreed and signed the book with a self-portrait framed by two towers. How the book was created still remains unknown. 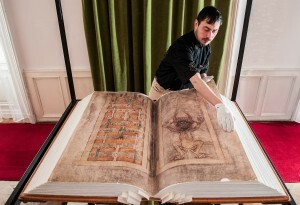 The Codex Gigas is famous for being the largest medieval manuscript in the world.